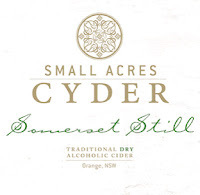 Platinum Liquor Blog: Small Acres Cyder in Stock. 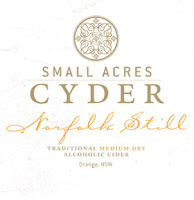 Small Acres Cyder in Stock. 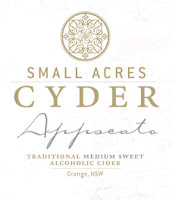 Small Acres Cyder in Orange NSW. James and Gail are passionate about making premium cider from true heritagee cider apple varieties. And to top it all off, they are great people to boot. 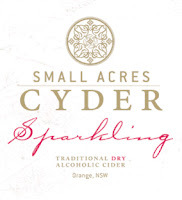 The sparkling is bottle fermented, unfiltered and has apple notes combined with biscuity complexity and a dry finish. 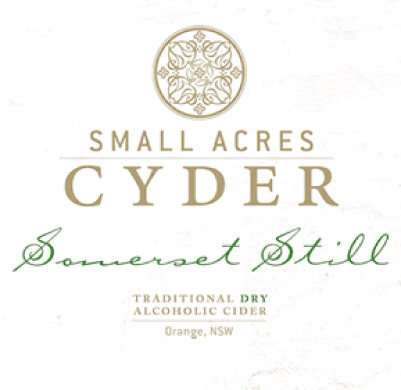 Somerset Still reflects the style of cider produced in the western counties of England. Earthy apple flavors, with a crisp dry finish. 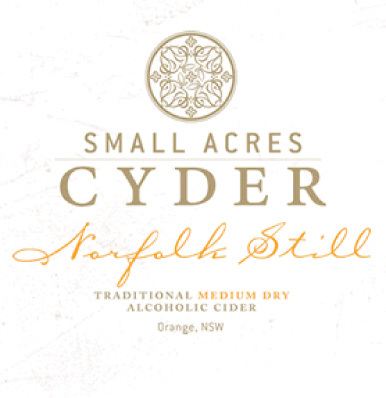 Norfolk Still reflects the style of cider produced in the eastern counties of England. Fresh apple flavors, with a crisp medium dry finish. 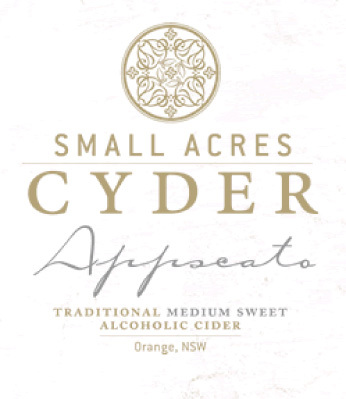 Appscato reflects the style of cider produced in Brittany, France. It has natural carbonation that is captured in the bottle and give it a frizzante effect. Sherbety, apple flavors, with the gentle tingle of bubbles makes this a perfect match for a celebration. Made from late harvest apples the juice is concentrated by freezing and extracting the luscious eau de pomme to produce this unique dessert cider. 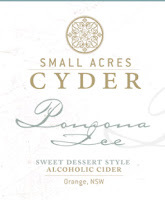 Rich sweet apple flavors and aromas with a citrusy zing, made a clean and crisp finish. So next time your in, consider taking an outstanding cider from 'Samll Acres' or some of the other Artisinal Australian or French ciders.